In this guide we will attempt to answer all of your questions about the team. Please refer to this throughout your time on the team for quick answers to questions you may have. If you can't find the answer on this guide, reach out to anyone on the team and they'll help you out! Make sure to sign into your umich.edu email to access the links on this guide! If you are not yet a student at the University of Michigan but are interested in the Team, please navigate to this page. Feel free to explore the recruit guide as it can answer many of your questions, however it is more directed at current students. What is the Michigan Sailing Team? 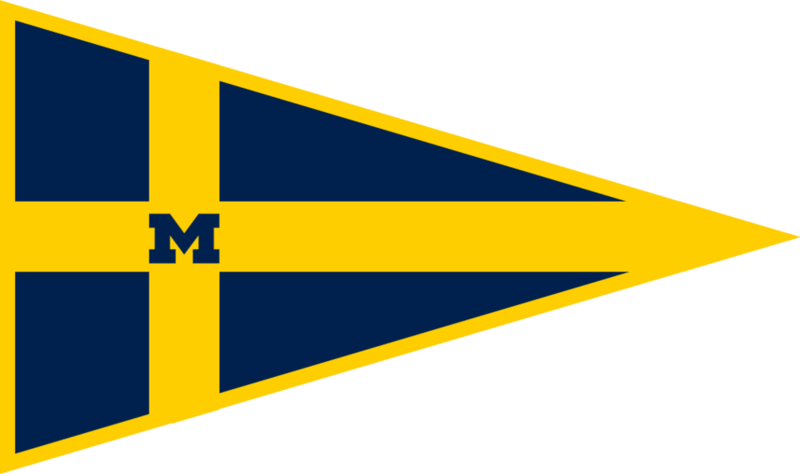 The Michigan Sailing Team is a Club Sport at the University of Michigan. We are affiliated with the Midwest Collegiate Sailing Association (MCSA), a conference in the Intercollegiate Sailing Association (ICSA). Our sailors compete all across the country. We sail in both dinghy and keelboat events, and compete in both co-ed and women's regattas. Every undergraduate student at the University of Michigan is welcome to join the Michigan Sailing Team, no experience required. Our team has seen great success over the years, fostering a combination of both experienced sailors, and people brand new to the sport. You officially join our team when you pay dues! If you are planning on coming to practice, check out this page to make sure you complete required forms before you come!